Looking towards the main entrance. The large garden contains four reflecting pools dividing it at the center. Each of these four sections is further subdivided into four sections and then each into yet another four sections. 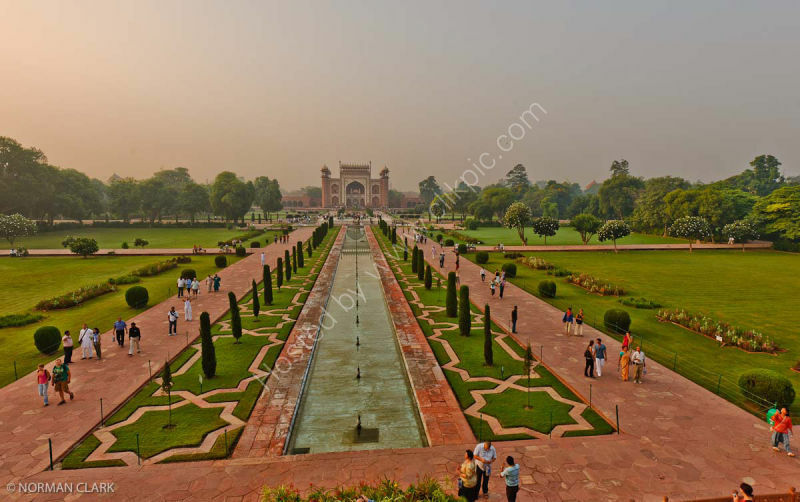 Like the Taj, the garden elements serve like Arabesque, standing on their own and also constituting the whole.